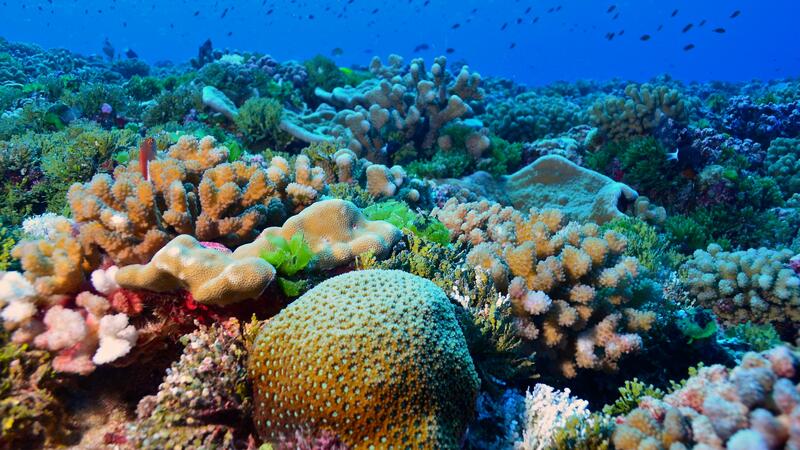 Scientists with the Global Reef Expedition are on a six year mission to study remote coral reefs around the world. 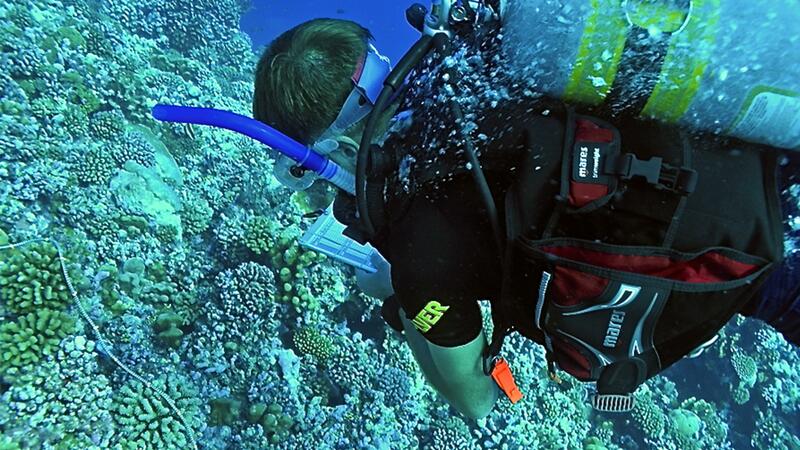 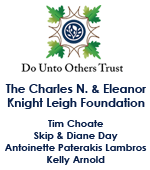 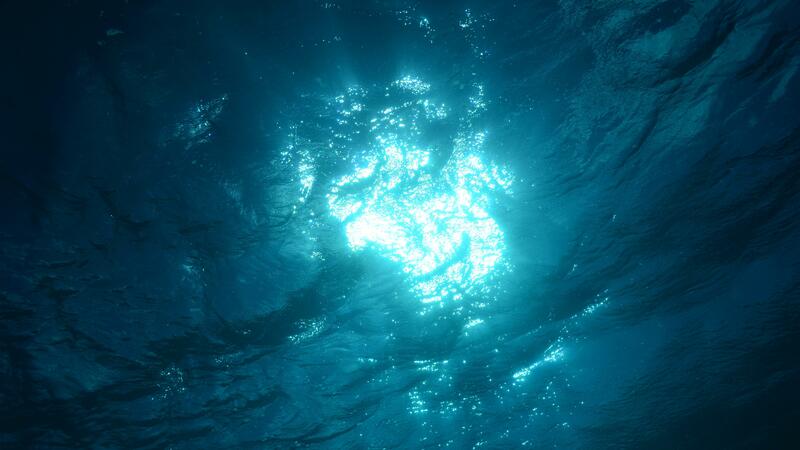 Organized by the Khaled bin Sultan Living Oceans Foundation, the expedition kicked off in 2011, with plans to conduct research in the Atlantic, Pacific and Indian Oceans. 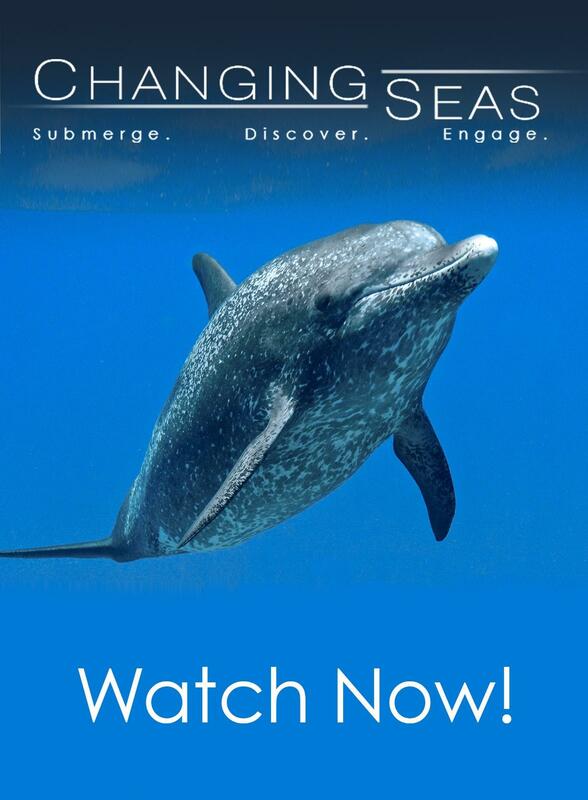 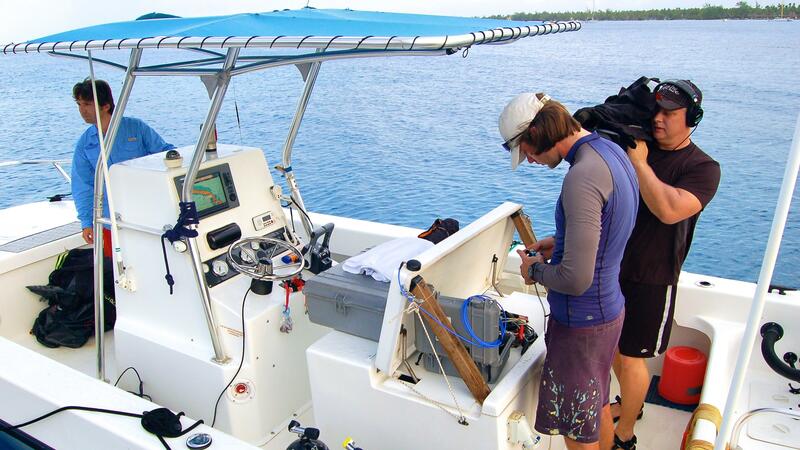 In the spring of 2013, the Changing Seas crew caught up with the science team in Rangiroa, French Polynesia. 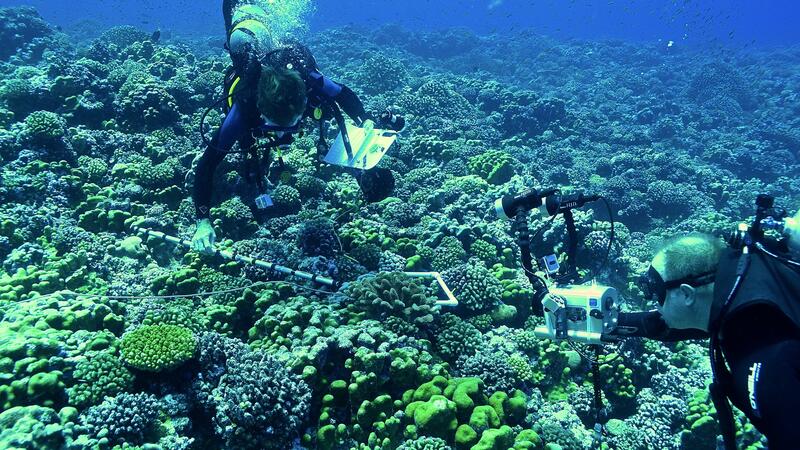 While there, experts conducted extensive habitat mapping to create one of a kind seafloor atlases. 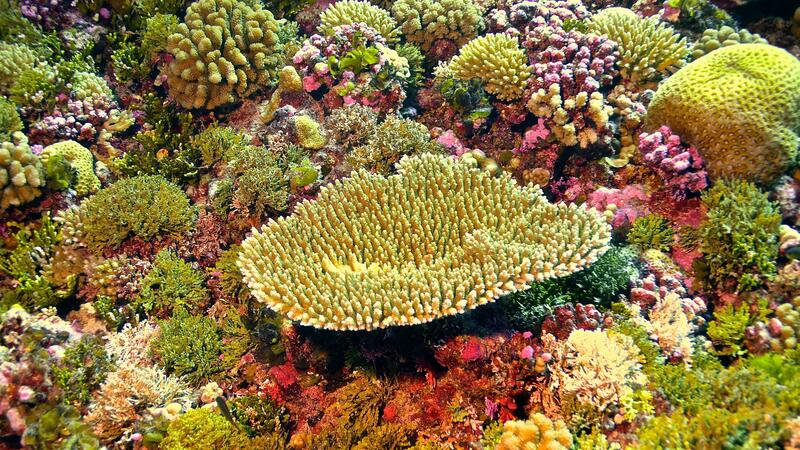 Scientists also assessed the health of the reefs to compare and contrast the resilience of reef systems throughout the region. 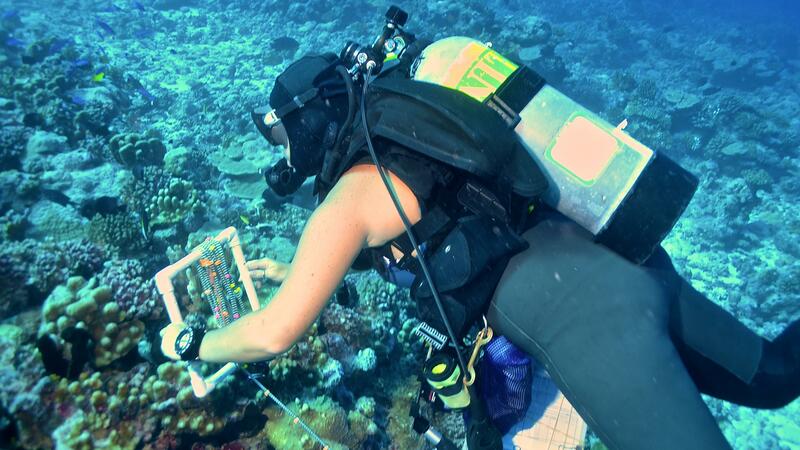 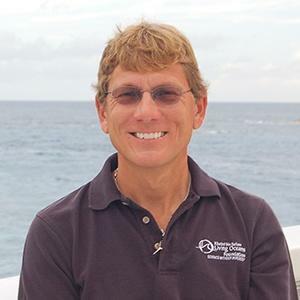 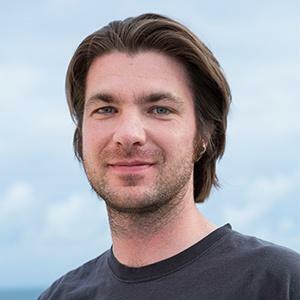 Experts hope the information gathered in the field will help local resource managers develop conservation strategies to mitigate human impacts on fragile reef ecosystems. 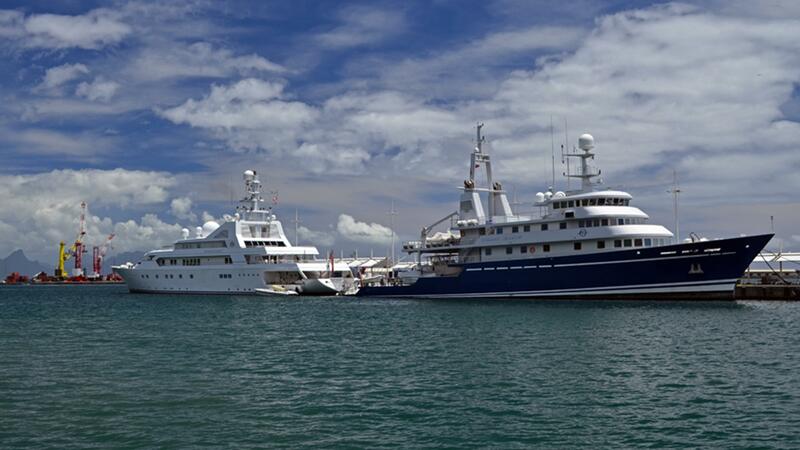 The M/Y Golden Shadow is the shadow boat for the M/Y Golden Odyssey (left), seen here in port in Tahiti. 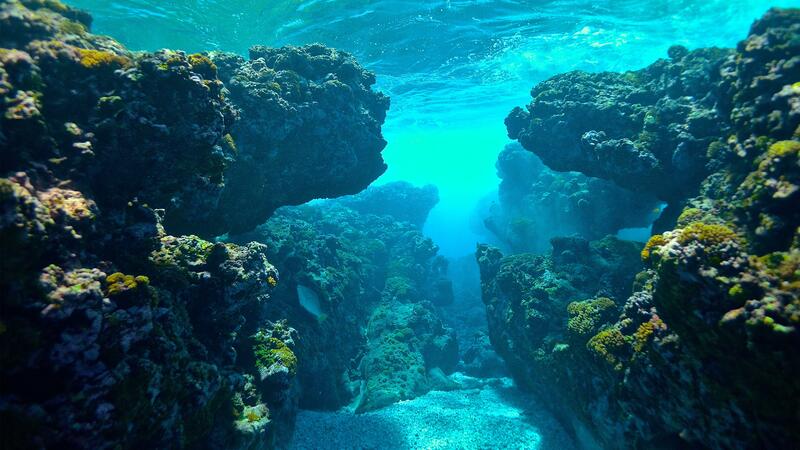 A beautiful reef in Rangiroa, French Polynesia. 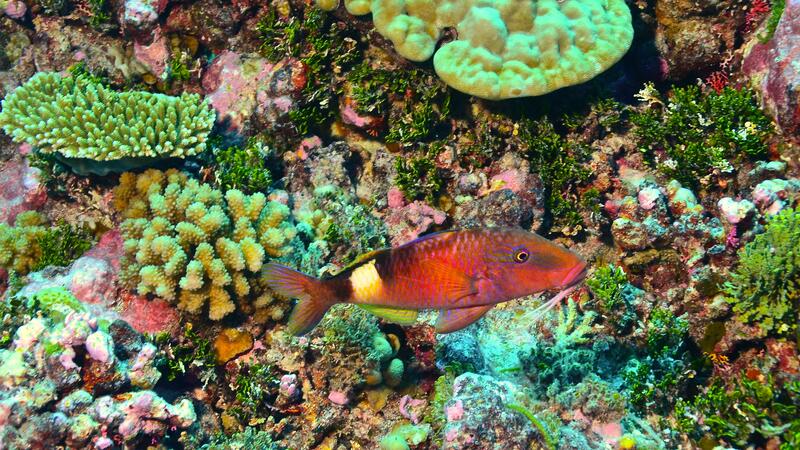 The arc-eye hawkfish is of the smaller inhabitants of the reefs in Rangiroa. 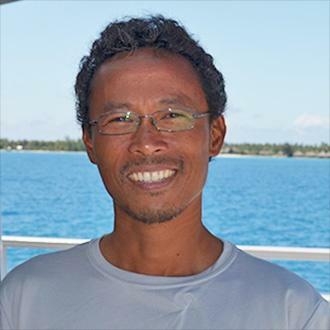 KLOF fellow Badi Samaniego counting fish on a reef in Rangiroa. 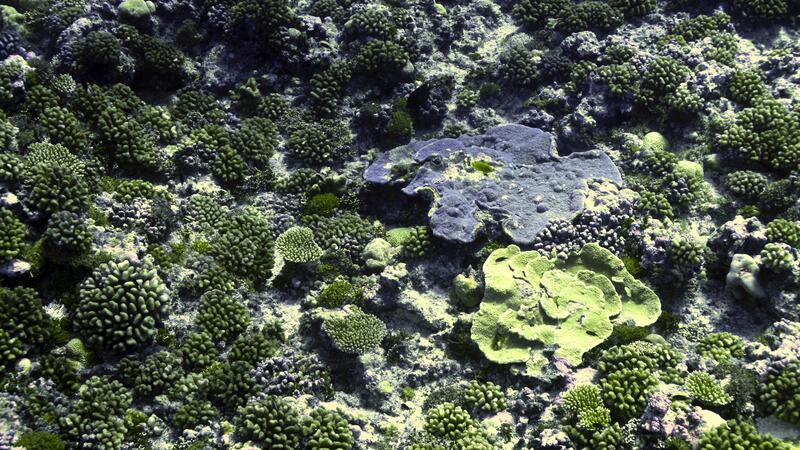 There are many different species of corals on the reefs surrounding Rangiroa. 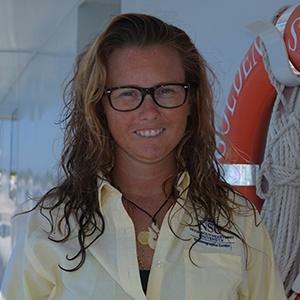 Marine biologist Marine Couraudon-Reale conducts a benthic survey on the reef. 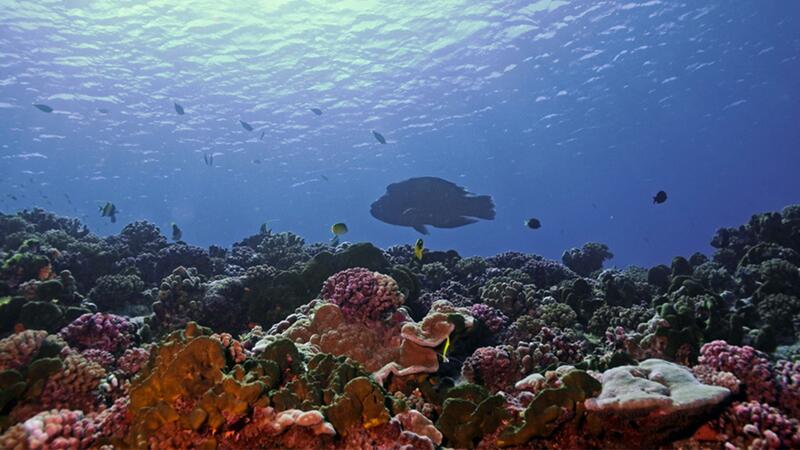 Humphead wrasse are a common sight on the reefs in Rangiroa. 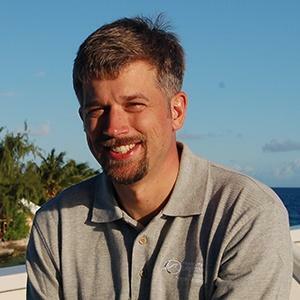 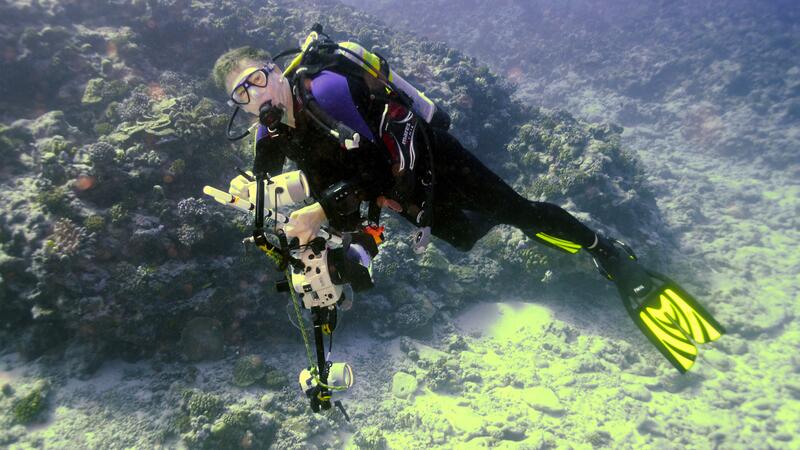 KLOF Coral Reef Ecologist Dr. Brian Beck conducting a benthic survey. 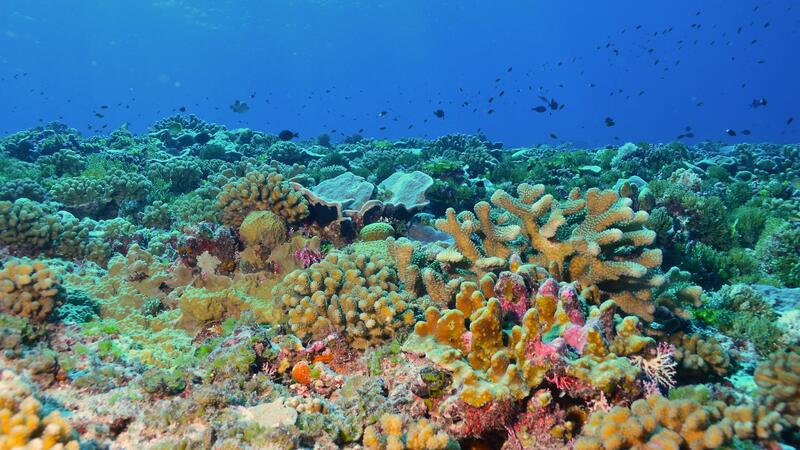 The reefs of Rangiroa are awash in beautiful colors. 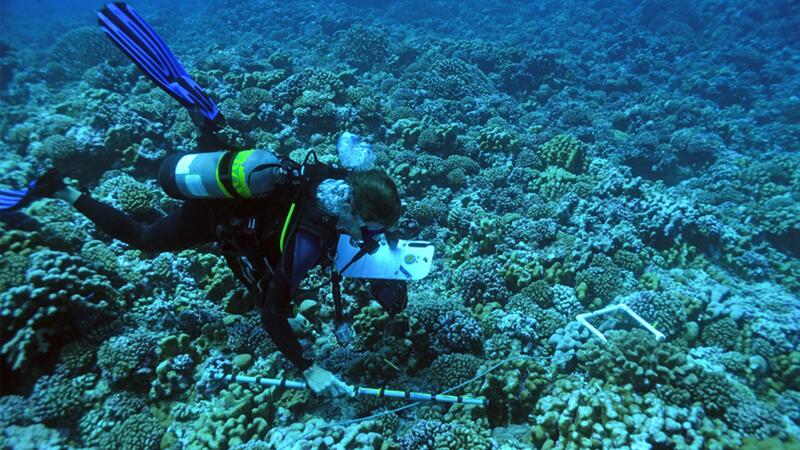 KLOF Chief Scientist Dr. Andy Bruckner measures the size of a coral along his transect line. 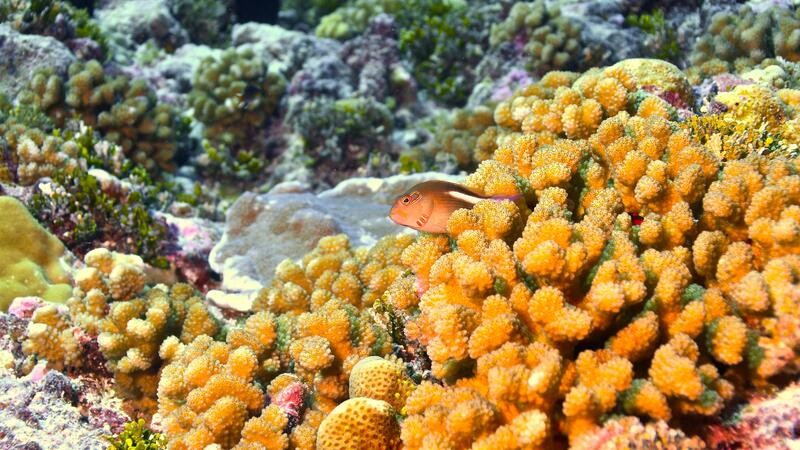 One of the many beautiful corals living on the reefs surrounding Rangiroa. 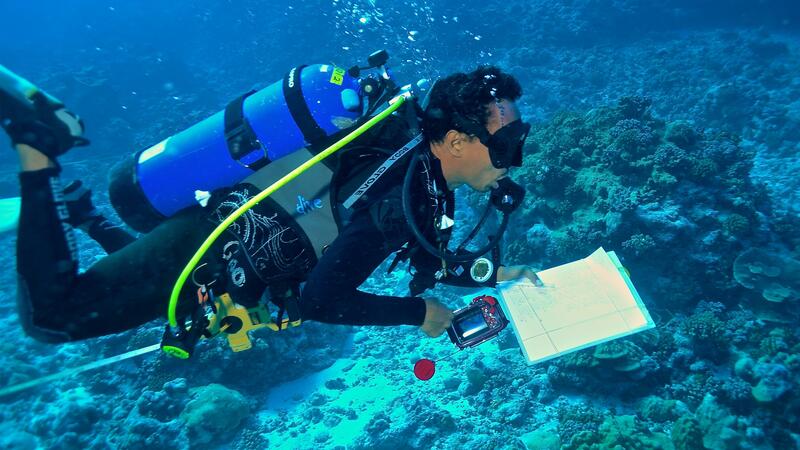 Videographer Sean Hickey films Dr. Andy Bruckner as he’s measuring the size of a coral. 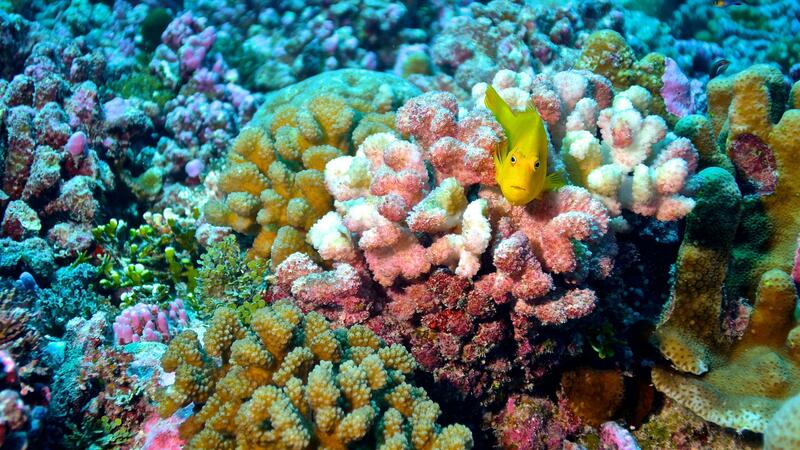 The visibility on the reefs in Rangiroa was spectacular. 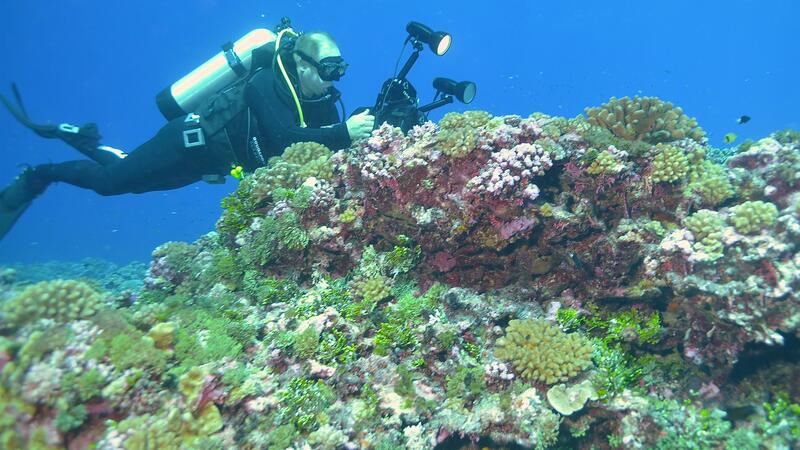 Ken Marks conducting a photo transect on the reef. 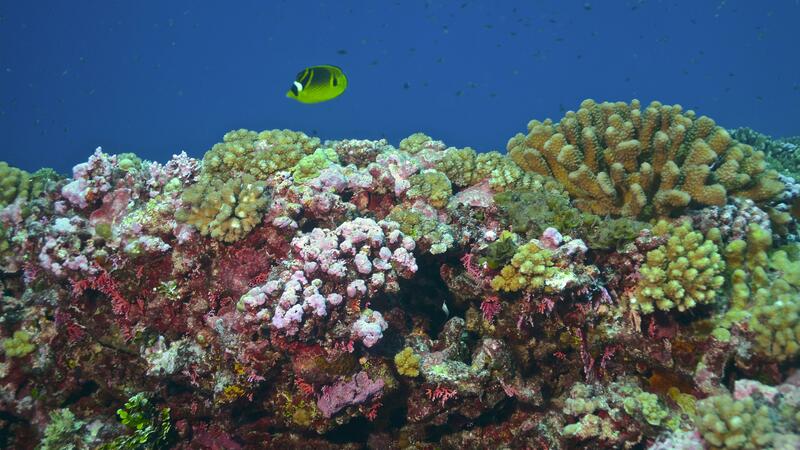 A beautiful reef in Rangiroa. 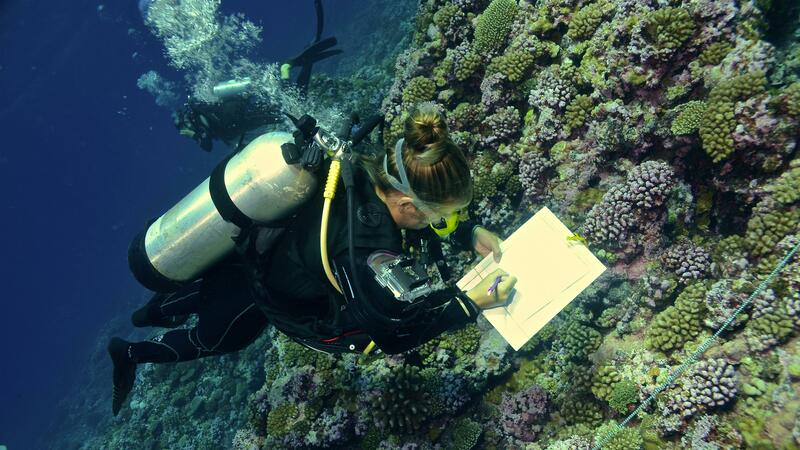 Scientific Diver Alexandra Dempsey laying out a transect line up the reef slope. 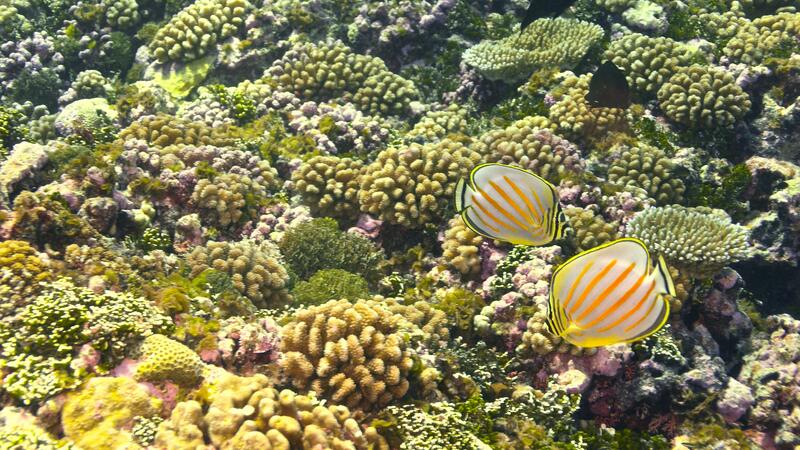 A pair of ornate butterfly fish. 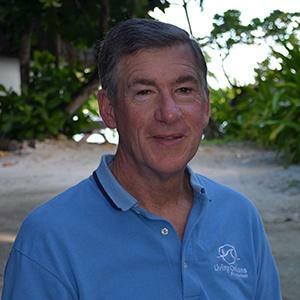 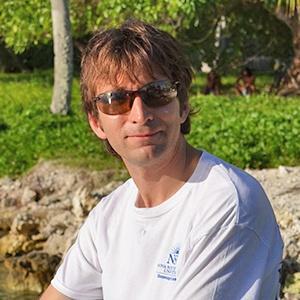 KLOF Executive Director Philip Renaud in Rangiroa. 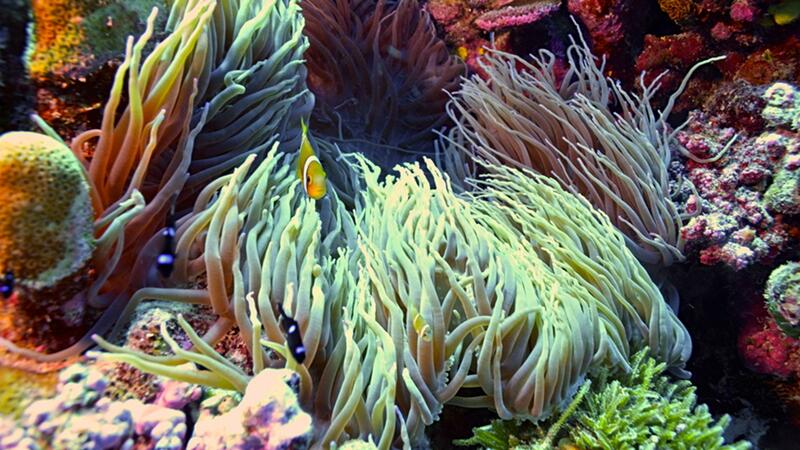 Clownfish, made famous by the Disney character Nemo, live among anemones. 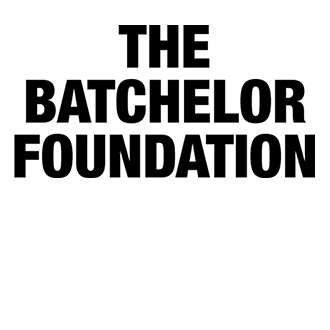 Videographer Sean Hickey getting the shot. 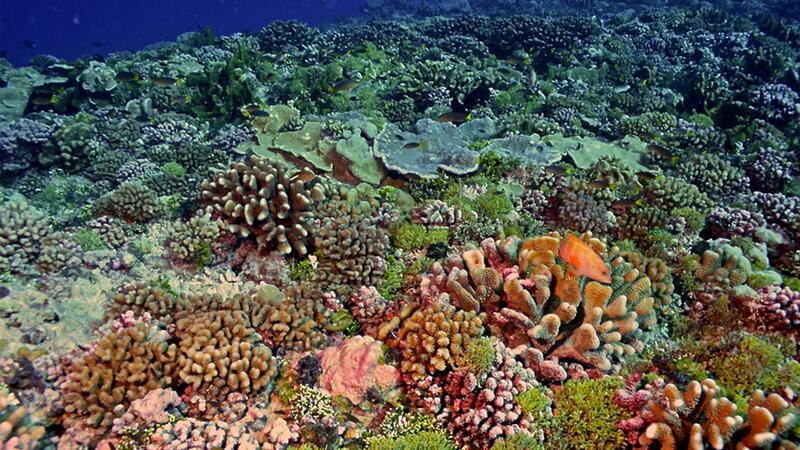 On the outside of the atoll, the reefs grow along a slope, all the way up to the shoreline. 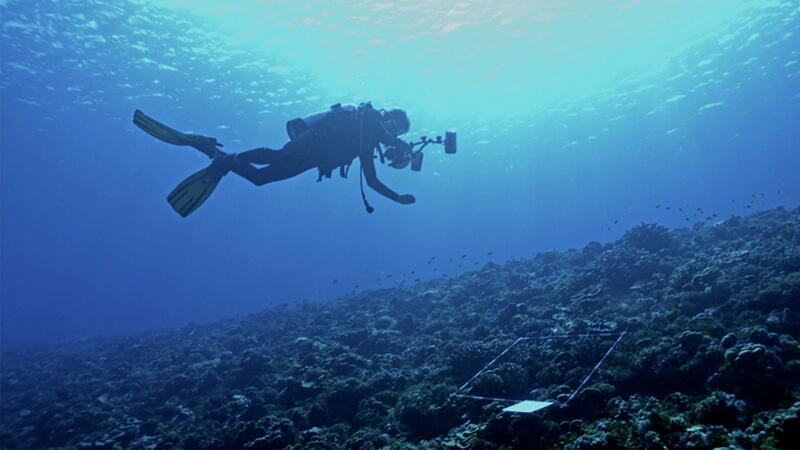 Videographer Sean Hickey films Jeremy Kerr and Dr. Sam Purkis, who work on creating high resolution maps of the seafloor. 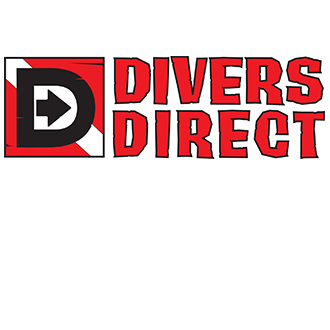 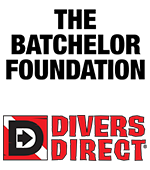 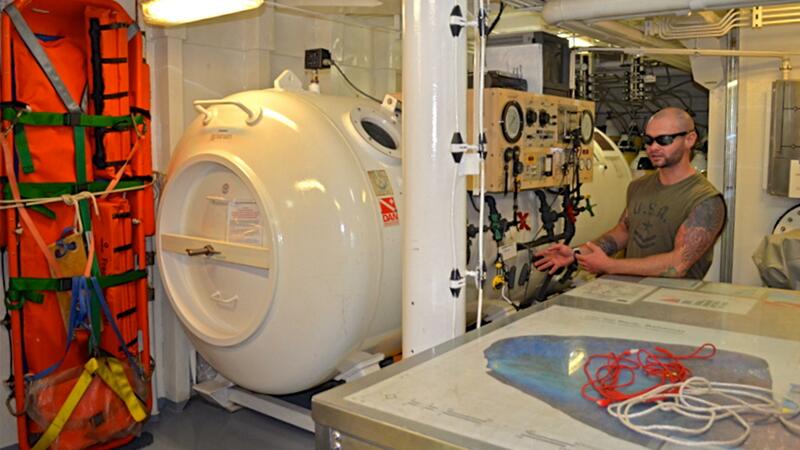 Dive Safety Officer Nick Cautin conducts a safety briefing near the decompression chamber. 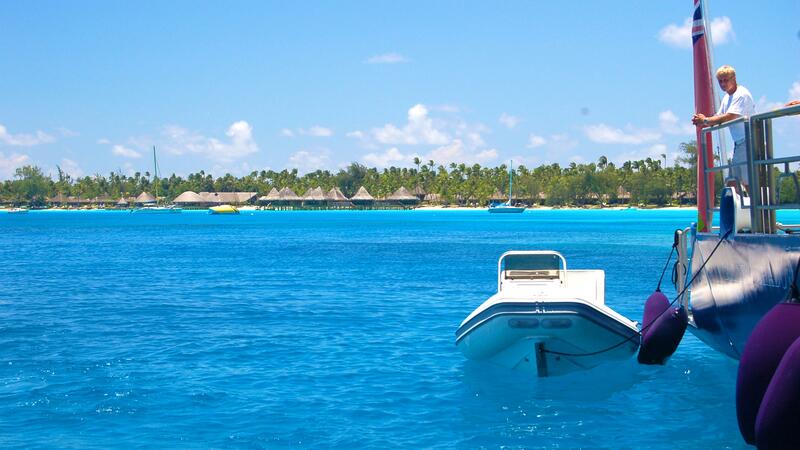 French Polynesia is famous for its beachside resorts. 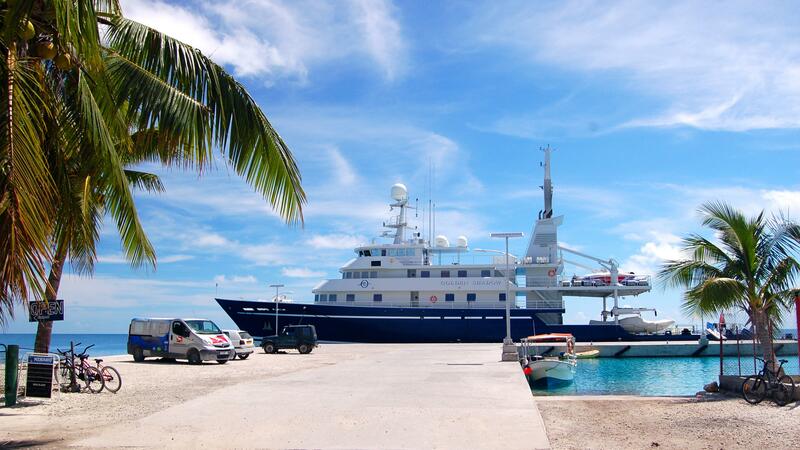 The M/Y Golden Shadow docked in Rangiroa.